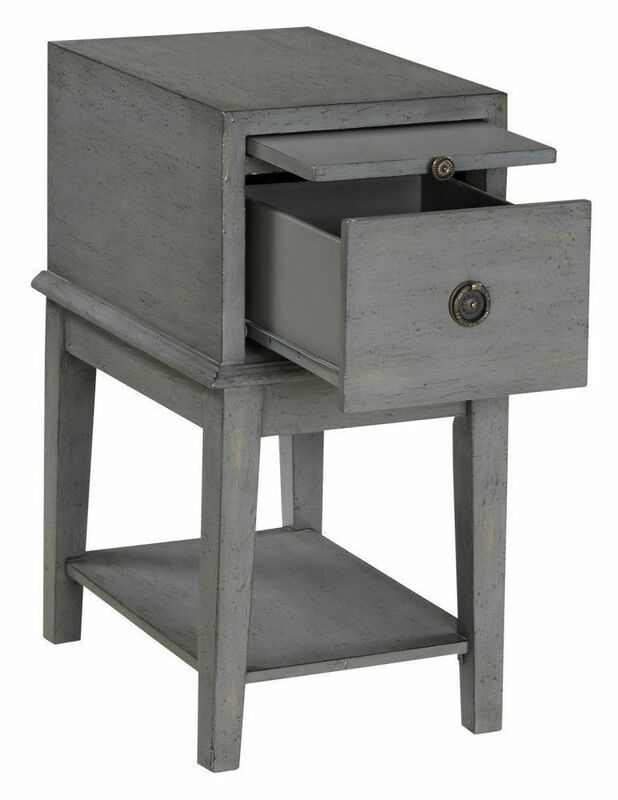 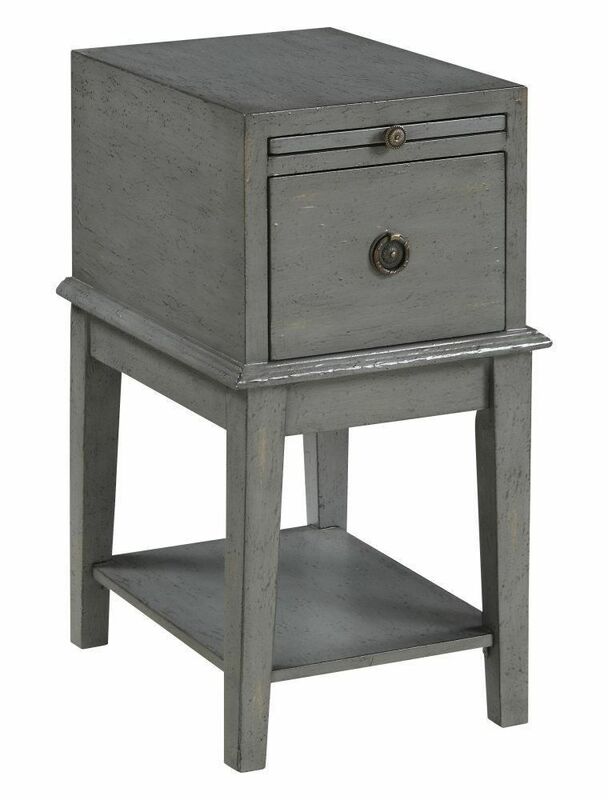 The Grey One Drawer Chairside Table exudes a rustic, charming look to beautifully complete your living room ensemble. 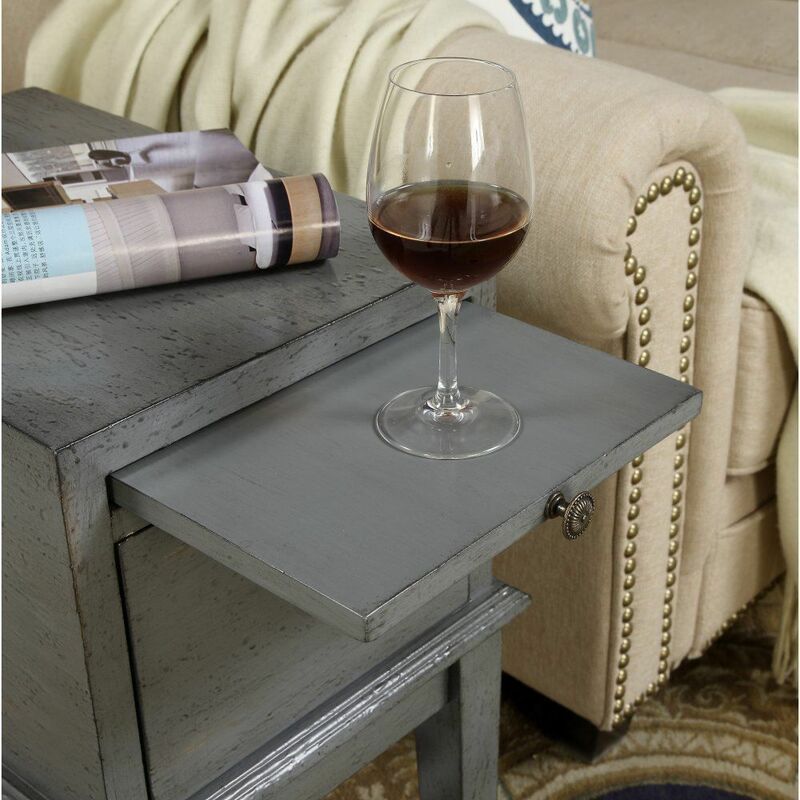 Made from birch hardwood and engineered wood with a distressed gray finish, this chairside companion is ideal for housing your remotes, drinks, and so much more. 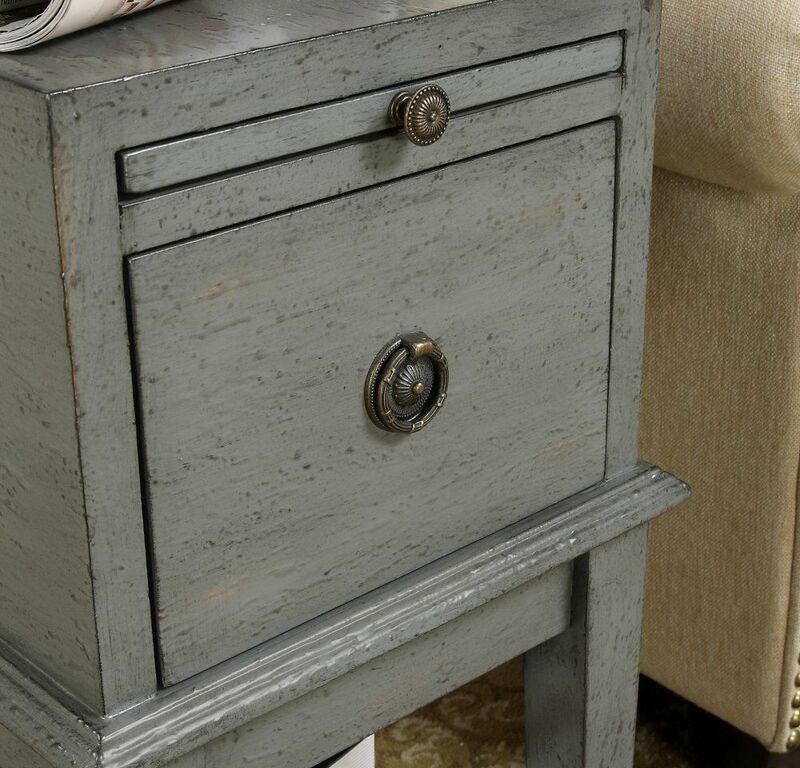 The Grey One Drawer Chairside Table exudes a rustic, charming look to beautifully complete your living room ensemble.